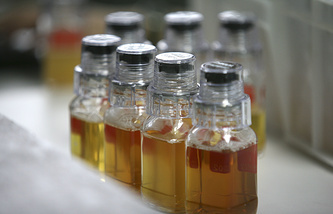 "Pursuing a goal of grand embezzlement of budget funds under the pretext of paying, under an agreement concluded with a Russian company, for the equipment required to collect biological samples to test athletes for doping and for other consumables, [they] transferred money as a payment for the ordered overpriced equipment, thereby causing damage amounting to more than one million rubles," the spokesperson said. "A criminal case was opened under the charges stipulated by Article 159, Part 4 of the Russian Criminal Code (grand embezzlement) to investigate this fact," he added. "All required search and investigative activities have been arranged," he concluded.